I love working with Tri-Rec rulers. I know they were not around when my Grandma did a lot of quilting, but I do know that she used cereal boxes and the like to make templates for her quilts. I have no idea if she ever made the block that I used in this month’s challenge. I found a block … 54-40 or fight in EQ 7. The history of this block was from the 1800’s when the British and the Americans were deciding on the border between the USA and what is now known British Columbia. Many people wanted the 54th longitude and the 40th parallel. They finally settled on the 49th parallel as the dividing line for between the USA and Canada. As I child growing up in Victoria, on Vancouver Island, I was aware that Victoria was below the 49th parallel. Also, as we rode the ferry to Vancouver, we always travelled through US waters. How much different would my life have been if the border had been 54 -40? You can read more about the history HERE. Also, for this challenge, I wanted to use this wonderful fabric stack and the coordinating yardage. I just LOVE each fabric in this collection: “Icicle.” Isn’t it pretty? I spent a lot of time with EQ, downloading the fabric images, and designing the quilt. On point? Straight? Sashing? No sashing? I think I ended up with about 40 versions and finially settled on one by process of elimination. Then I started the quilt. First, I took 8 dark 10″ squares and 8 light 10″ squares. I cut them into 4 ½” strips and then used my Tri-rec rulers. I’m thinking that when I purchase more dies for my Accuquilt, the Tri-rec die will be my first purchase. Accuquilt calls these “Triangle in a Square” and they come in 3 sizes: 2″, 3″ and 4″. Whoohoo! These 40 blocks were then sewn together. The 4 patches were next. I used the Accuquilt for these. Talk about speedy … very speedy. I cut 2 ½” strips of the dark blue and the light. I also took (1) 10″ lighter blue square and sewed them lengthwise. Pressing to the dark side. This was the super fast part! I took the strips and laid them on the accuquilt, starting with the bottom strip: Right side up with light up, dark down … and the strip that was laid on top right side down with dark up, light down, matching the seams. I fed this through the Accuquilt cutter and I had all my pairs together – ready to sew into 4 patches. All accurate, perfectly sub-cut 2 ½”. I have NEVER had such perfect units before!!! The units to the right were made for the half blocks on the sides and end of the quilt. Paired with the Triangle in a Square / Tri-rec blocks, 4 patches and the blocks came together nicely! The blocks are set on point, with light sashing and dark blue cornerstones. At this point, I was in love with this quilt!!! Then borders needed to be added. However, deciding how to quilt it took awhile. It had to sit and perculate for a long time. In the end, the 4 patches have orange peels, the tri-rec blocks have straight lines on the blue and curls on the the white triangles. The corners also have curls, as does the border. Hobbs 80/20 was used and the quilt was quilted with a light grey Aurifil Italian thread, 50 wt., #2600. It was the PERFECT thread for the job! I know that I’m biased … but I LOVE it!!! The finished size is 45″x 63″. Here are some “staged” photos: I know there’s a bit of boasting, but the hyacinths are blooming and they smell so pretty!!! And a close-up, with the flange binding! 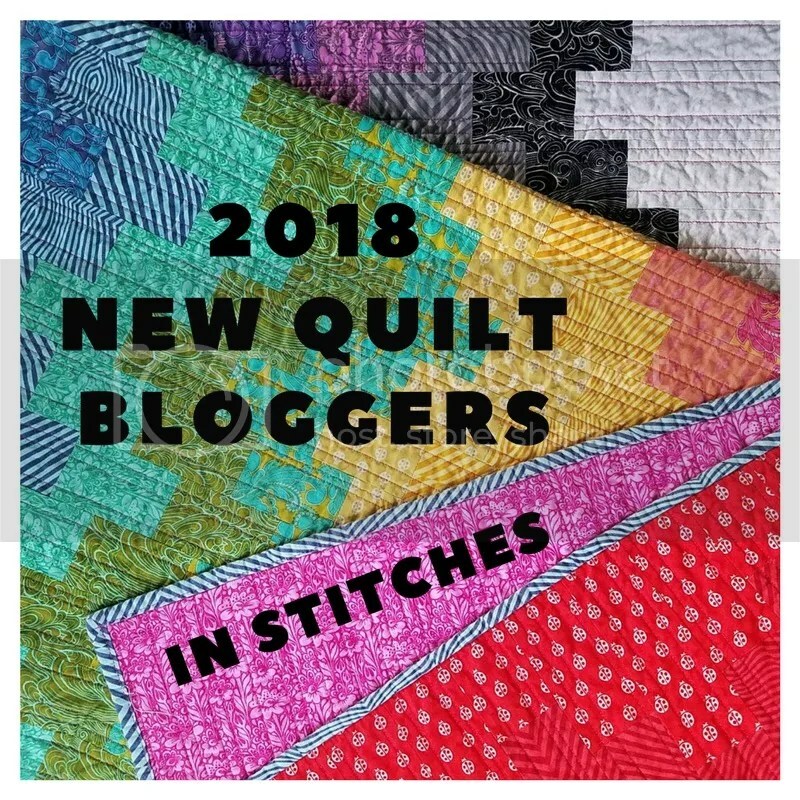 Disclaimer: The products featured in this Blog post were given to me by Island Batik, and their co-sponsers Aurifil, Hobbs Batting & AccuQuilt! 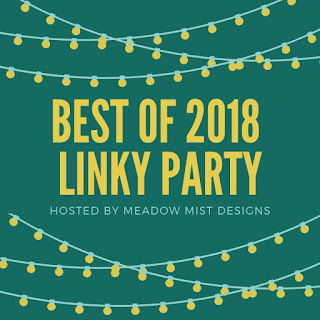 It’s worth your time to go to these blogs and check out, not only their blogs, but the wonderful eye candy that is in their linky parties!!! What a lovely quilt! Reading that you grew up on Vancouver Island, I can see how the colours reflect the landscape – sea, hills snow… Those fabrics must have been such fun to work with, beautiful shades, and I would love to come across that acorns and pine cones batik! When I first read your comment, I thought, “snow in Victoria?” But, yes, it does snow occasionally, but on a clear day, you can look across to the Olympic Peninsula in Washington State and see the snow covered mountains. The fabrics were fantastic to work with! I’m LOVING Island Batik fabrics! Thank you for hosting Free Motion Mavericks! Such a beautiful quilt! I love the design and colors! When you mentioned cereal boxes I had to laugh, my first quilt I used the cardboard from the cereal boxes to make my quilt. Love yours. Anyone who used cereal boxes really appreciates a rotary cutter … and now with the AccuQuilt – we’re really on our way! Gorgeous quilt! And so fast too, with Accuquilt. Thanks for sharing on Wednesday Wait Loss. Thank you! 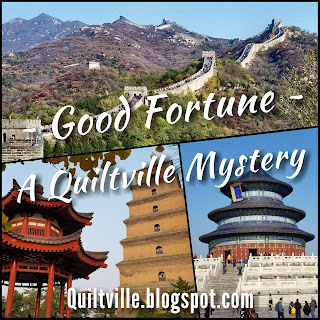 I’m enjoying the Accuquilt more and more! I’ll be sharing more about it when I post about my April IB challenge! Very pretty! You found a beautiful pattern to showcase those prints. I was able to download the fabrics into EQ and then it was tons of fun to play and design! So, prior to actually cutting into the fabric, I had a good idea of what it would look like! This is beautiful, Gail!!!! First of all, you started with such lovely fabrics! I really love the blocks and layout you chose. Such a pretty quilt! This is one that gets more interesting the more you look at it. I must admit that the fabrics really did make this quilt! You are not biased. It is a great quilt! Great quilt for the ambassador challenge, I can see why you fell in love with it! Isn’t it just so fun being an ambassador!!! And, yes, I LOVE being an ambassador!!! The learning, the stretching, and of course all the new friends! Hi Gail — another beauty! Love the fabric and your quilting! I too love the tri-recs ruler and the 54-40 Flight or fight block! Yes, the tri-recs rules make for an interesting block! Pretty quilt! That was the pattern of my first quilt. Your first quilt??? Oh my!!! Good for you! I’m glad that you love it! Yup, the fabrics are awesome!!! And they would look fantastic in Ivan’s Diamonds! I love this fabric collection, too. It made a very pretty quilt using the 54-40 or Fight block. Love your finish, Gail! Thanks for the history tie-in, too. I love that kind of thing, and interestingly, I’m in the middle of an old Newbery book I acquired for my collection that is a historical fiction novel set in the Oregon/Columbia region during the decade before this border dispute. I’m wondering now if it’ll extend into that issue, since U.S. families are starting to arrive in the area. Oh wow! It will be fun to find out if it ties into your book! 54-40 on point looks so different and in batiks it looks so modern! Love this quilt – of course – blue is a favorite of mine! The narrow lattice is a teat effect too! Blue is my favourite, too! I did many layouts with different sized sashing … from 1/4″ to 2.5″ … and decided on this one. I’m loving Island Batiks!!! (Or have you heard me say that before?) But I do LOVE them! The colours! the ease of piecing! No fraying! So beautiful! Very stunning quilt Gail. Its ironic that I’m also planning to use 54-40 in a quilt. You know me though…one at a time. So I’m not sure when I will get to it …but soon(ish). Thanks, Terry! Yes, I do know you – one at a time … I can only hope for that to happen in my future. Do you have the tri-recs rulers? Have you used them? If not, I’ll show you how when you visit … it makes making the blocks SEW easy! Perfect … It’s amazing what can fit into a suitcase if you want! The rulers take up little room and if you bring the fabric you want … it only takes up a little bit more room! We will have fun playing with fabric! I’m sitting here, looking at your gorgeous quilt, and thinking maybe I should play with my tri recs rulers today. I don’t have anything else I need to do, right?!? What a great quilt, Gail! You have good reason to love it! I love your quilt! I have seen similar blocks, but because yours are on point the difference is tremendous. It was fun to play with the blocks in EQ! And with Island Batik fabrics … well, they certainly made the quilt!